There are weak Pokemon, but there is one that is a lot similar to another species of Pokemon. This Pokemon is known as Metapod. Metapod is a bug type Pokemon and isn’t very popular to even use when you first start your Pokemon journey. Metapod is similar to, probably equivalent to Kakuna. Kakuna is a bug type Pokemon who is just about the exact some Pokemon as Metapod, but slightly different. Metapod’s only attack it can get is known as Harden. Harden is an attack in which the Pokemon raises it’s own defense stat. Now this attack is completely useless if you don’t have any other attack that can be used. This will make it harder to defeat Metapod, but using Harden too many times can leave to it running out of power points, which are used to keep number of how many times you can use an attack. When these power points run out the Pokemon will have to use Struggle, Struggle is a fairly weak attack that will make the Pokemon that is out of power points attack, but it will lose health points, or HP, in the process by getting hit by recoil. Running out of power points isn’t the only way to use Struggle, if the opponent trick the Pokemon by using Encore or an attack of that nature, and Disable, this will make it so the Pokemon can’t attack at all, resorting in it using Struggle. What does Metapod have in common with Kakuna anyway aside from having the same basic structure and body? Well Metapod’s pre-evolved form, Caterpie can get String Shot and Tackle, when it evolves into Metapod it will also know Tackle and String Shot. It will learn Harden as a Metapod. While Kakuna’s pre-evolved form, Weedle, can get String Shot and Poision Sting. It will evolve into Kakuna and will learn the attack known as Harden. The only difference between these two is Metapod can get Tackle and Kakuna can get Poison Sting. Metapod is probably the strongest out of the two because Tackle does more damage than Poison Sting, but if Poison Sting poisons the Pokemon, Metapod and Kakuna have equal power. Effort Values (EVs for short) are what help determine what stats your Pokemon gain when they level up. EVs are similar to EXP in that your Pokemon will gain them when the battle finishes, but there are three key differences. Wild Pokemon give off a specific number of EVs. EVs will boost stats, as opposed to EXP, which only grows your Pokemon to its next level. There is a limit to the amount of EVs your Pokemon is capable of gaining, which has very little to do with the level it’s at. Each Pokemon gives off a specific number of EVs. Let’s start with an example: you’ve started the game with a Snivy and just recently fought a Lillipup you found in the grass. Along with the 20 or so EXP points your Snivy gained, it also gained a EV point in Attack. Why? Because Lillipups give off 1 EV point in Attack when you defeat them. Each Pokemon gives off a certain number of EVs in a certain stat. Purrloin gives off 1 EV in Speed. Audino gives off 2 EVs in HP. Sawsbuck gives off 2 EVs in Attack. As you can see, fully evolved Pokemon tend to give off more EVs, just as they give off more EXP. A Pokemon’s level has nothing to do with how many EVs you gain — a level 10 Pokemon gives 2 EVs just like a level 50 one does. Let’s move on to the next bullet point: EVs will boost stats. This one is a little more complicated. In a nutshell, Pokemon will have higher stats if they have more EVs in the respective stat. 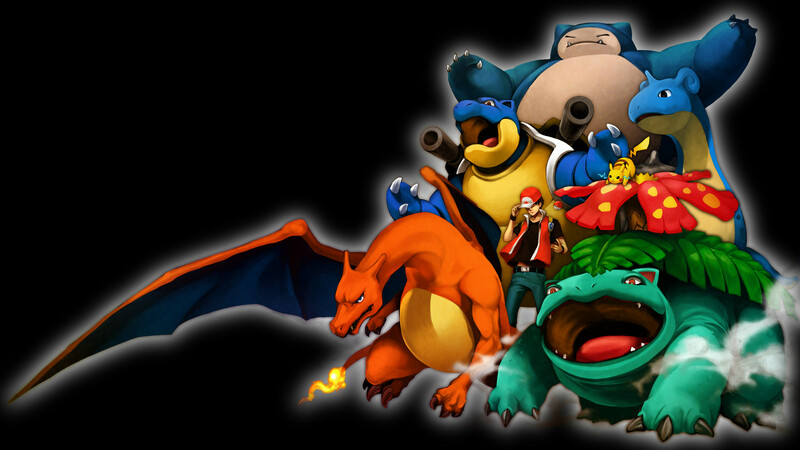 At level 100, every 4 EVs that a Pokemon has gained in a stat will raise that stat by 1 point. Let’s say you were to defeat 4 Purrloin; at level 100, your Pokemon would have 1 point higher Speed than it would if it didn’t fight any Purrloin. Fight 8 Purrloin, and you’ll have 2 points higher Speed. You don’t have to wait until level 100 before you see the effects of EV training — you’ll receive a proportionate bonus based on your level, and it is usually gained gradually, not all at once. In other words, you might not see every level up giving you +5’s and +6’s for your stats, but over time, your Pokemon will be stronger than it would be if you weren’t EV training it. There is a limit to the amount on EVs you can gain, which brings me to the third bullet point: You can only have a maximum of 510 EVs on one Pokemon, and no more than 255 on any stat. And since 4 EVs are worth 1 stat point at level 100, and 4 does not go equally into 510 or 255, then you don’t have to completely fill up those numbers. Just keep in mind this isn’t 100% accurate because the most beneficial nature for a Pokemon to have can be highly dependent on what moves you teach it. Serperior’s base Attack and base Special Attack are both equal, so it’s up to you which you base it’s attacks around, or you can use both stats if you want. Speed is Serperior’s best stat though so any Nature that is boosting speed is probably going to be good for it, unless it’s lowering the type of attack (physical or special) that your Serperior uses the most, then not so much. Unfortunately Serperior doesn’t learn many cool moves while leveling up and has a terrible overall move set. They’re aren’t many awesome TM or HM attacks it can learn either. You could teach it Aerial Ace to get rid of the bug types that would try to take a bite out of Serperior, and of course you’re going to want to teach your Serperior Leaf Blade or Giga Drain (both it learns by leveling up). I taught mine both, which is always an option as well. 😉 Also if you can manage to teach Serperior Glare (which can only be taught by breeding) that’s an awesome move because it can even paralyze a ground type Pokemon since Glare is normal type. If you can some how get a Serperior or one if it’s evolutions from the dream world that’s awesome too, because of the Pokemon’s dream world ability Contrary (hopefully there will be a special event soon to get one). Contrary makes moves that lower stats raise them instead, and vice-versa. In which case it would be very beneficial for your Serperior to have a Special Attack boosting nature, because with Contrary you have to teach your Serperior Leaf Storm (which is learned at level 62). Because with that ability each time you use Leaf Storm instead of it lowering your special attack like it normally would, it raises the stat instead. Just think how powerful that attack would get after a couple uses? Zoroark has very high Attack and Special Attack stats (higher Special Attack) but sadly very low defenses. I’d find it best for your Zoroark to have a neutral nature if it doesn’t have a nature recommended by something/someone. If a stat is boosted though, the best one would probably be Special Attack. As for the lowered stat you do not want it to be one of Zoroark’s defenses, and definitely not it’s physical defense (i made that mistake… 🙁 ). As for attacks, despite Zoroark’s higher Special Attack it learns ALOT of physical moves while leveling up. In fact Zoroark doesn’t learn a special attack until level 64 when it learns Night Daze. But some good moves to teach it when leveling up are Foul Play, and Night Slash. Just because Zoroark doesn’t learn a special attack until level 64 doesn’t mean having a Special Attack boosting nature wouldn’t be beneficial. Zoroark can learn a few awesome moves with TMs that a dark type couldn’t normally learn; one of them being Flamethrower. Some other good TM moves to teach Zoroark are Shadow Ball, Aerial Ace, and if you want Focus Blast (or Low Sweep if you want a physical fighting attack). Aerial Ace works well to get rid of any annoying Fighting or Bug type that would try to hurt Zoroark, and then the variety of attack types coupled with Illusion can catch really your opponent off guard. Status effects, one of the many Achilles heels of every Pokemon Trainer. Regardless of how well a battle can be going for a player, it takes but a single burn or paralysis to completely thwart all his or her efforts, or to make a player’s victory. Regardless of who’s design brings statuses into a battle, knowing the ins and outs may come in handy. Poison is an effect that, well, poisons the Pokemon. Each turn, the suffering creature will lose en eighth of its health, a quickly concerning condition. However, the poison’s effects don’t end there, outside of battle, the victim will lose one health for every four steps. For early in the game and weakened Pokemon, the shaking display is more than a bit unnerving. As of Generation IV, though, the effect was cured upon reaching one health remaining. While I personally feel it’s a cruel way to handle it, it’s certainly an effective way worth noting should you be without an antidote or pecha berry. In Generation V, though, the condition was changed yet again so that it would, and I personally love this, not hurting Pokemon outside of battle. Although it makes me feel less hurried to handle the condition, ultimately costing my team more pain and suffering, I prefer it greatly. The other condition that steals one eighth of a Pokemon’s HP per turn is Burn. Are you a fan of Chikorita? Chikorita is a pretty cute little Pokemon. You can get a Chikorita in the Johto region. Most commonly if you get it as your starter Pokemon. You can get your starter in the Johto region from Professor Elm, who studies Pokemon breeding patterns I believe. His lab where you choose your starter is in New Bark Town. Chikorita is a nice grass type Pokemon. A Chikorita can learn a lot of grass type attacks also, so there will be extra power for you there! However choosing Chikorita can put you at the down side of the first gym battle, the first two actually. The first gym battle is against Falkner. Falkner is a flying type trainer, well gym leader. You can get a Zephyr Badge from him if you succeed. The flying type attacks are very powerful against Chikorita. Chikorita is a grass type and therefore weak against flying type attacks. Totodile is the easiest start if you want to breeze through the first gym. This is because Cyndaquil, the fire type starter Pokemon you can get from Professor Elm, is weak against ground type attacks. Why a flying type gym effect the weakness Cyndaquil has to ground type attacks? Falkner is a smart trainer for all starters except for Totodile. His Pokemon know an attack that is fairly weak but it is powerful against Pokemon with low levels. Anyway, the attack is Mud-Slap, it is a ground type attack that can be powerful against Cyndaquil. In my next few articles, I will be analyzing Pokemon and move set combinations from the fourth generation of Pokemon games in an attempt to find some great combinations for battling other players. My first choice will be my own team starter, Blissey. Blissey is no doubt one of the greatest damage sponges in the game, having an incredibly high HP and a decent Special Defence stat. While its regular Defence is fairly low, it can easily make up for this with self-recovery moves. The main focus I have set up for EV stats (which are obtained through training) is to max out HP and Defence, and minimal coverage to Speed (252 HP / 252 Def / 4 Spe). Not only does this take care of its low Defence, but it gives an amazing boost to HP. You can also move the focus from HP onto Special Defence, since Blissey’s HP is high enough as it is. Gender is a small mechanic that makes Pokemon more unique. Each Pokemon has its own gender ratio, which is a percentage that compares the male and female population, respectively. Usually, Pokemon found in the wild have a 50/50 ratio, but some Pokemon have a more distorted ratio. For example, all starters have a 7:1 ratio, or 87.5/12.5%. I think that this is strange, since starters can go either way in terms of gender. Some male and female sprites feature gender differences, which are small changes in appearances, like color, or the size of a certain part of an appendage, like a horn. There are also Pokemon that exist without gender. These are known as genderless Pokemon, which are usually legendaries and Steel-types. Pokemon that are genderless are excluded from a few things, such as breeding compatability and gender-based moves (which could be a good thing), but it really doesn’t make a difference unless you decide to use those game mechanics. The world of Pokemon also has a few kinds of moves that deal with gender. The first one is Attract, which is the most common gender-based move, is one that works only with two Pokemon of different genders. This gives the target the status of infatuation, which one has to take a mental note, since it does not show up, like confusion. This also means that a Pokemon can have a major status problem (paralysis, poison, etc.) and be infatuated at the same time. Infatuation is like confusion, but instead of attacking itself, the Pokemon trying to attack will be “immobilized by love” and can’t attack. Like confusion, this can be removed by switching out your Pokemon. However, Attract will not work on genderless Pokemon. Hidden Machines, or HMs, are another kind of TM, but serve a new purpose. Unlike TMs, which simply teach your Pokemon a move, HMs are used in-game to help with your adventure. For example, the first HM that everyone knows is Cut. Although it is a very weak Normal-type move, it helps cut down trees in the game. This only happens when you have a Pokemon that knows Cut in your party. The same goes for all the other HMs, but instead of selecting them in the menu, simply press A when you are facing the obstacle. The game will ask you if you want to use that particular HM move. Another HM we are all familiar with is Surf. Learnable by most Water-type Pokemon, Surf is a highly destructive move in battle, but is used to cross water in-game. A small note is that Surf now hits all surrounding Pokemon in battle, most likely to be a more fair attack. In mid-game, the HM for Fly is received. Most players by now have a Flying-type Pokemon in their party, and Fly helps by letting them fly back to a town they have visited. It definitely helps with events such as finding outbreak Pokemon or getting your fossil of the day at Twist Mountain. Strength is a good solid move that can be learned by a variety of Pokemon. Strength can be used when you are faced with an obstacle, such as a boulder. Your Pokemon can use Strength so your sprite can move the obstacles around. To save time, the game says that your Pokemon made it possible to move heavy objects around, so you don’t have to press A each time you want to move something. Amoonguss, the Mushroom Pokemon. It has terrible Speed, four different weaknesses, and an amusing high-pitched cry, yet still is heavily used in double battles. So what is it that makes it so effective? A quick look shows that a combination of stats, movepool, and possible battle partners can really bring out the A-game in Amoonguss. Amoonguss has been heavily used in the 2011 Video Game Championships (VGC’s), where only non-event, non-mascot Unova Pokemon were allowed to be used in teams of four in double battles; however, regardless of the limitations placed on the 2011 VGC’s, any generation of Pokemon can provide a suitable double battle partner for the giant mushroom. Amoonguss saw heavy usage in the 2011 VGC’s, along with Pokemon such as Reuniclus and Musharna–and the move Trick Room. Trick Room allows the slower Pokemon to attack before the faster ones, assisting Amoonguss in the area that it struggles with most: Speed. A battle partner that can take advantage of Amoonguss’s lack of Speed, or the move Trick Room, can effectively work alongside the Mushroom Pokemon. A sped-up Amoonguss only spells disaster for the opponent when it knows the move Spore. This 100% Accuracy, Sleep-inducing move ensures at least one turn of the opposing Pokémon’s inability to move, and it comes with a good chance that the Sleep will last even longer. Amoonguss’s Spore is a prime opportunity to render your opponent’s Pokemon useless and put a stop to any plans they may have. While any Pokemon with the move Spore is versatile in any team, Amoonguss truly outshines the rest with its overall impressive movepool. Amoonguss can effectively assist its partner by using the attack Rage Powder, which draws all of the opponent’s attacks to itself. By doing so, Amoonguss allows its partner to set up any way it needs to, while preventing the opponent from attacking it–if they are not afflicted with Sleep, that is. Couple Rage Powder with a base Defense stat of 70 and a base Special Defense stat of 80, and Amoonguss can only be significantly damaged by an attack it is weak to.